Word-of-mouth is my hero. Just before the Christmas-time I sent an email to everyone I know ... even some people that I don't know ... to promote my business. 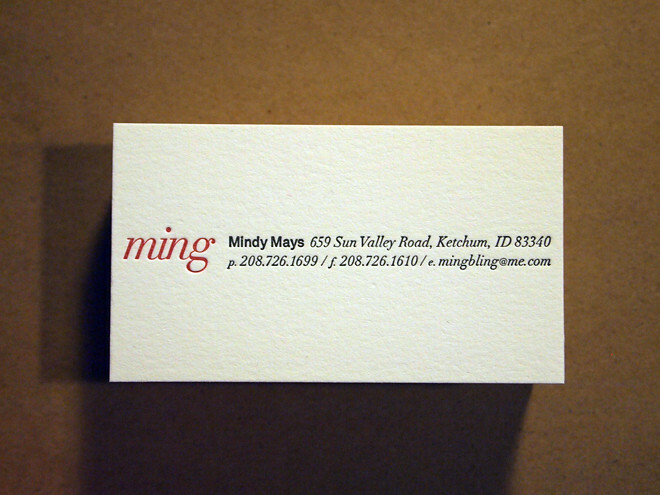 A friend forwarded my mass email to another friend, and that friend happened to own a small business in Ketchum, Idaho called Ming. 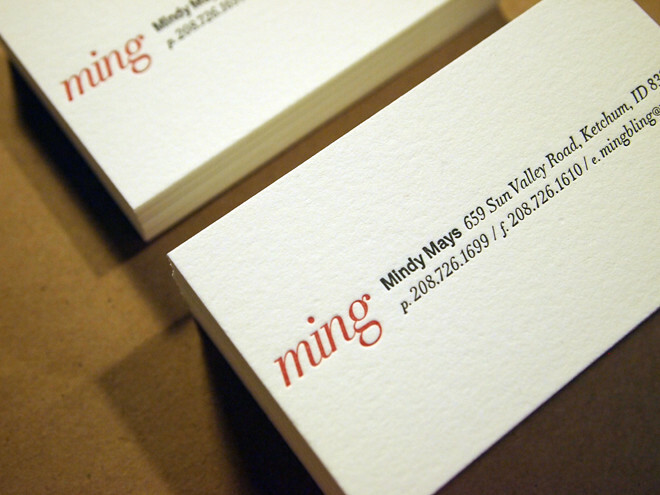 Mindy at Ming bought some cards and loved them (yay!). Then she was like, hey, can you print my business cards (designed by Nicole Skillern), and I was like yeah, that would be great! So la-te-da, here you have them! A big thank you to Mindy for your business!